Home Costs > How Much Does It Cost to Stucco a House? Stucco, being around for centuries, was initially made by lime, sand and plant fibers, although it was very brittle as compared to the stucco as of today. The ancient Greeks and Romans, at the time, used stucco, mixed with volcanic ash to strengthen it. Modern-day stucco, as you can imagine, is much tougher due to the Portland cement mixed in and will not break as easy as the stucco historians found from thousands of years ago. This strength, in turn, will make it an ideal foundation for siding material, commonly found in warmer climates such as Arizona, California, Florida, Nevada and New Mexico, as it withstands warmer temperatures. Stucco, when applied, is done in three coats. The first coat, referred to as the “scratch coat,” will be applied to provide the second, heavier coat, referred to as the “brown” or “leveling” coat, something to stick to. The last coat, known as the “finishing” coat, will be employed to smooth the surface. When all three of these coats are considered, the average costs, from what we researched from multiple contractors online, can vary anywhere from $7 to $11 per square foot to install. These costs will greatly vary depending on the setup of your, the geographical location, the contractor you choose and if you need any enhancements (we will get into this later). As all jobs will be so unique, we highly advise you try out HomeAdvisor.com. This is a free service which allows you to describe your job, and, in turn, contractors in your area, who are licensed and insured, will contact you with a ballpark estimate based on your pictures and description. There are no obligations and this allows you to browse through multiple quotes to make an informed decision. As for just the materials, an 80-pound bag, depending on the quality and thickness of the mix, can cost about $10 per bag. A finishing coat can cost another $20 per bag. To give you an indication as to how many bags you would need, the average 1,600 square foot home will need between 120 to 140 bags, depending on the size of exterior walls, and about 22 bags of finishing stucco. In conclusion, the materials alone for a 1,600 square foot home would cost $1,640. GuzzoStucco, a masonry professional, based in New Jersey, noted the costs of stucco can be based on so many factors such as the style of architecture, the design, the number of openings and accessories to name a few. While he did note the industry average tends to be in the $7.50 to $11 per square foot range, there are many factors, again, which he talks about in depth, that, you, as a consumer, should be warned about. Permits – Permits, before the job can even begin, will be needed in almost any jurisdiction. If the siding isn’t installed properly, moisture can make its way in between the siding and the home, leading to rot and mold. The inspector, as the stucco is being applied, will be inspected along the way to ensure everything is installed as it should. Permits, depending on where you live, will cost anywhere from $100 to $300 total. Existing siding or brick – If this job is for an existing home, then you will need to add costs on top of the estimates mentioned prior. On average, removing old siding, depending on the type and setup of the home, can add another $1 to $3 per square foot. If you had brick and were considered stucco, then the job could be much more complex as the contractor would need to use a backer board and netting to properly install the stucco. Geographical area – As we mentioned, one huge factor will be your geographical location. A contractor in the middle of Arizona, for example, will probably charge much less than someone in the pricer San Diego area. Expect to pay $40 to $60 per hour for the labor alone. Painting – Stucco, when applied, will be gray or a tannish color, but, it can be colored or painted in the mix. If you do decide to paint it, the contractor will recommend you wait at least six to eight weeks to allow it to dry and harden before the paint is applied. As stucco has a rougher texture, a contractor will almost always spray the paint on, rather than roll it, to create a cleaner look. The costs of painting stucco will depend on the type of paint, the paint brand, the painter you hire and how thick the paint it. With these factors in mind, be prepared to budget $1 to $2 per square foot to hire a professional. Repairs in the future – In the future, you will need to consider repairs as they can and will happen. If dealing with cracks, for example, the average repair can cost about $300 to $900, depending on the severity, while patching spots can be done for as little as $25 if you were to do it on your own. We did create an in-depth guide on stucco repair costs in the past that we encourage you to check out. Shape/size of the home – Houses with multiple levels and/or uniquely shaped windows, porches or shutters can often increase the costs as the labor time will increase due to reaching these higher-than-average levels. As compared to other siding methods, stucco has wonderful insulation qualities. Due to its thickness, it can create a quiet atmosphere inside the home, making it perfect for loud conditions. In case of a fire, stucco can hold for more than an hour, which has been credited with saving multiple homes in the past. It installs much easier when compared to other siding methods on the market. For smaller projects, it can be completed in less than two days. Stucco has been known to last longer than 50 years. It can be more expensive per square foot when compared to other methods. If installing in an area prone to heavier rain and/or an area where the ground is likely to shift, it may not be ideal as it will not hold up to the elements. As long as maintained properly, stucco can last a lifetime. Being extremely porous, it can and will absorb rain with ease, which can cause deteriorating, mildew, moss and/or mold growth. It can also crack during freeze-thaw weather conditions, and for that reason, stucco will require additional maintenance as when compared to stone, brick or siding. Nolan Painting, for example, to combat these issues, recommends sealing your stucco with a concrete/masonry sealant, which is designed to penetrate into the stucco to stop moisture, every four to five years. Doing this on a regular basis can help prevent damage which could prevent the need for a full replacement in the future. If the stucco is older and you’re starting to notice cracks, then an elastomeric coating could be a better choice as this coating is waterproof and can help seal hairline cracks. If you ignore these cracks and it develops past the coating, then the crack will stretch, allowing moisture to get behind and create a bubble appearance. 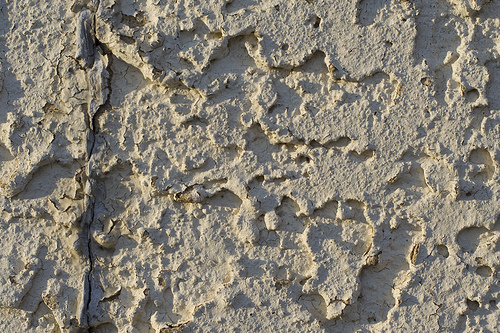 Every few months, inspect your stucco for any paint cracking, bubbling and/or peeling as you will want to prevent the cracks from becoming worse. Even if it’s a minor crack, stucco patch kits are available for as little as $10. Try to wash your walls at least twice a year to help remove any dirt, mold or stains on the exterior stucco. There are tons of different texture options on the market, with over 30+ distinct textures that can be applied. Below are the most popular choices most homeowners choose, however. Combed – A combed stucco has a thin, narrow ridge that sticks through the surface, creating a swirl or loop-like surface. Dash – This is a rougher looking stucco, a process where stucco is flung over the exterior using a unique brush known as a “dash” brush. Lace – One of the most popular textures, this texture is done when the stucco is sprayed onto a surface and then knocked down by polishing it out with a towel. In the end, the smooth surface will be marked with lacy rivulets, which helps hide any building defects. Sand – This type of finish is whisked on by hand using a device known as a plaster float. To picture it, it’s like a spade with a sponge connected at the end to create a popcorn-like finish. Smooth – A very popular choice for most modern-day homes, a smooth surface will be smoothed down by using a trowel and is often done before staining the home. Worm – Using a specialized aggregate that’s hand troweled, a worm texture is spread onto the surface in a roundabout motion, creating a look similar to the lace texture mentioned prior.